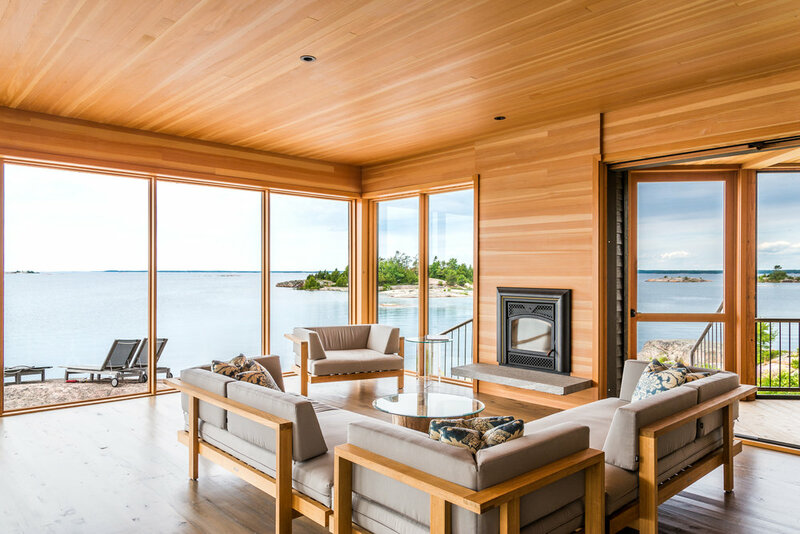 Georgian Bay Island - 2142 — Stark Architects Inc.
Tucked away in a private island setting, this project brings the main living space, master bunkie and guest bunkies together with a shared screened porch. 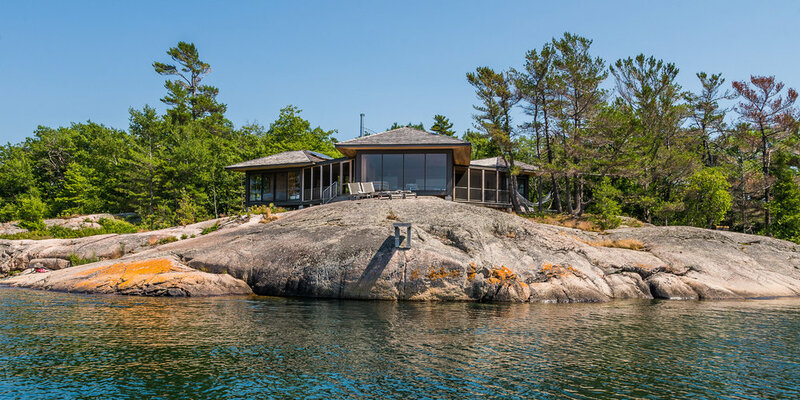 This unique design straddles the natural rock while working itself into the existing landscape without disturbing it's surroundings. 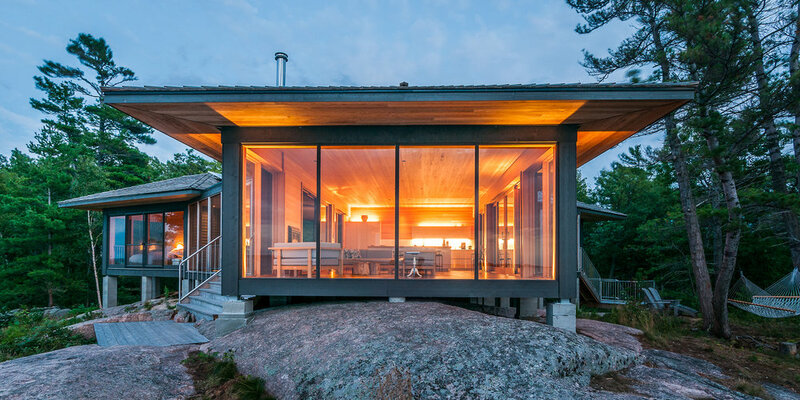 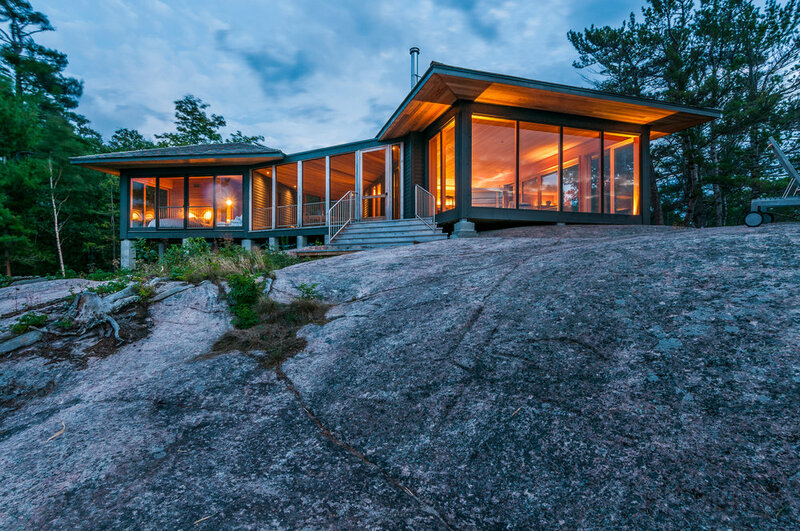 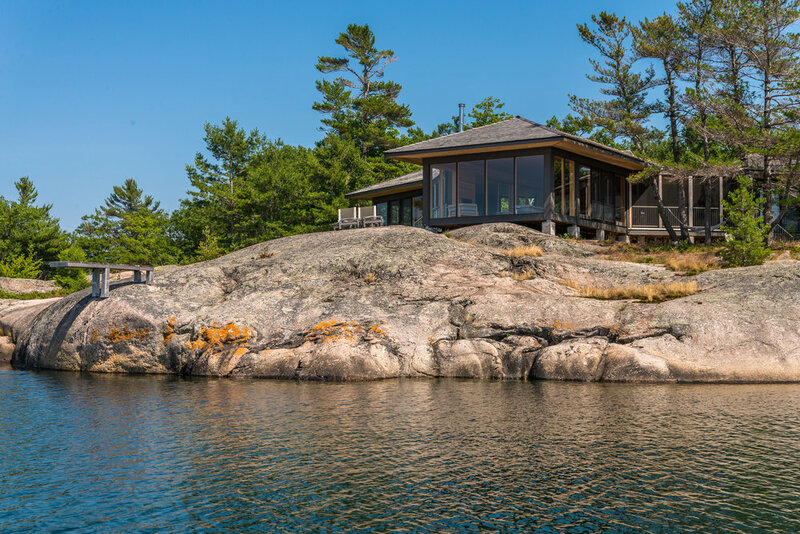 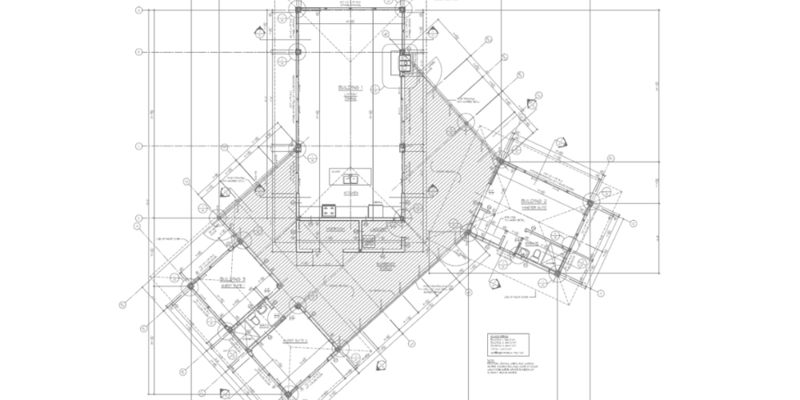 The main living space was designed to step out onto the granite out crop at exactly the setback distance. 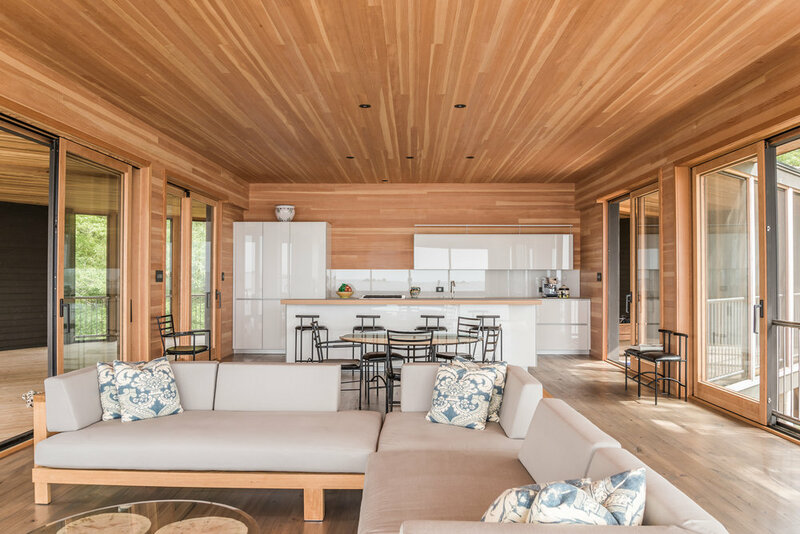 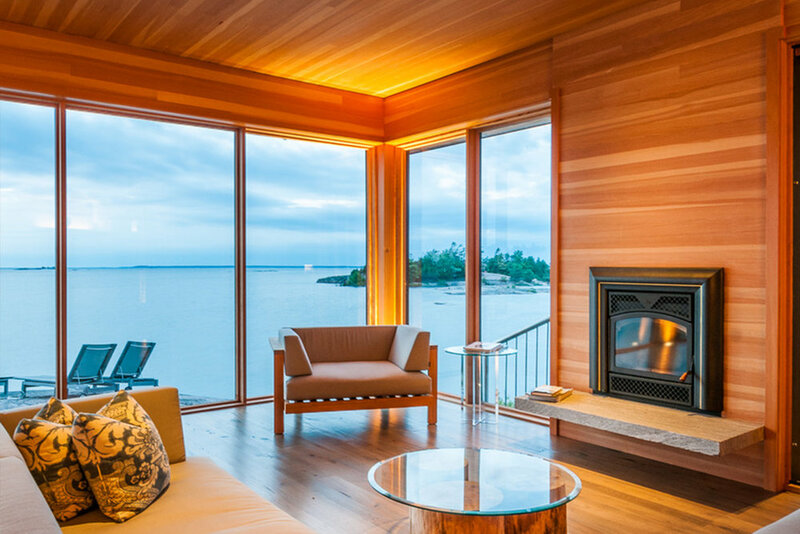 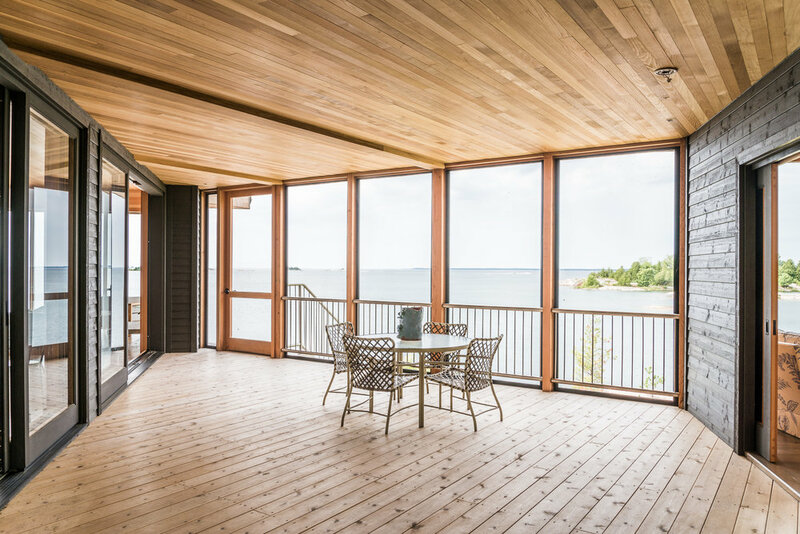 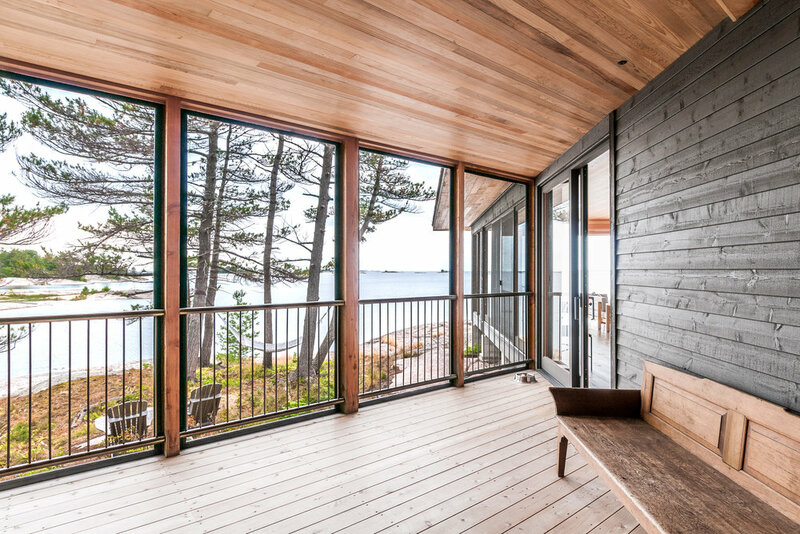 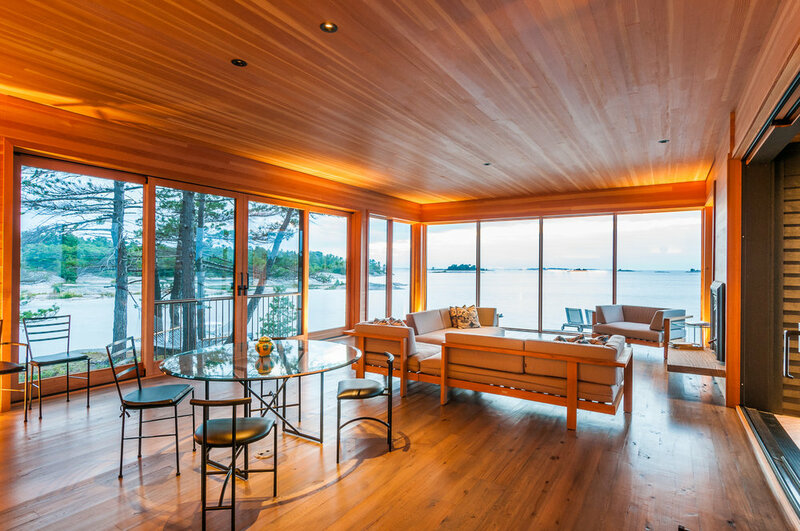 With walls made of large glass siding doors, beautiful finishes, craftsmanship, and a setting among the finest on the bay, it is truly one of a kind.